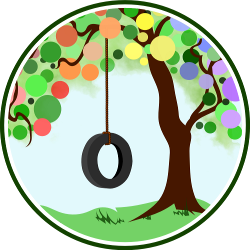 This post was written for inclusion in the monthly Carnival of Natural Parenting hosted by Hobo Mama and Code Name: Mama. This month our participants have shared stories and tips about protecting our families. Please read to the end to find a list of links to the other carnival participants. Bike safety is an important topic for me. I have used my bike to commute to university and work, to go shopping, and to take my children to school. 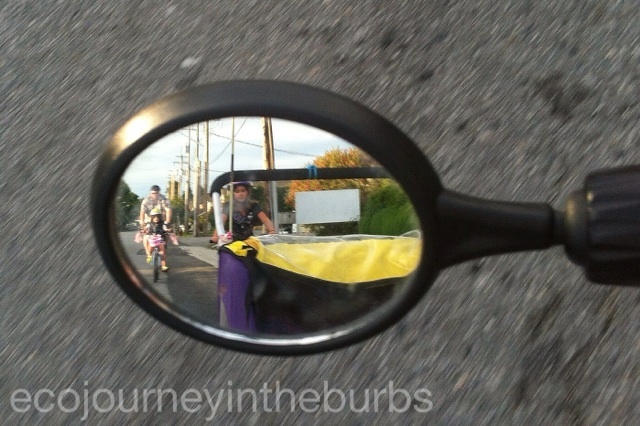 I have seen the road from both sides of the spectrum — as a car driver and bike rider. I have seen reckless cyclists who have taken great risks (myself being one of them), but I have also seen drivers carelessly ignoring, or even targeting cyclists. While riding my bike I have been a victim of drivers who do not understand the rules of the road as they apply to cyclists. I cannot change the behaviour of others; I can only ensure that I do my best to be a polite, safe cyclist. When I started taking my oldest daughter out in a bike trailer, I became even more aware of bike safety. It’s funny how having children can make a parent so acutely aware of safety and everything that can go wrong. The flag on my trailer suddenly wasn’t big enough to alert drivers to its location at the back of my bike. Now that I have three daughters, two of whom ride their own bikes on both quiet streets and major roads alike with me, there are some basic safety steps I take while out on bike trips. It is important to learn how to share the road with everyone. 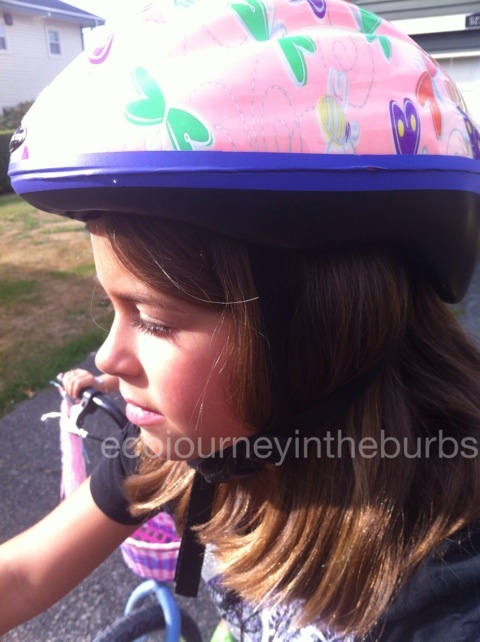 First and foremost I made sure that my daughters could ride their bikes confidently. Before I took them on the road I made sure they could touch the ground when sitting on their bike seats, and that they could start and stop safely. Despite my best efforts, my six year old was quite trepidatious on her new “big girl” bike, passed down from her big sister, and I made the decision to pay for her to go to Pedalheads bike camp, and it was money well spent. Ready to hit the road and head to the beach. I believe that a good quality, properly fitting helmet is important. I have read much debate about the link between helmet use (or non-use) and head injuries, but because it is the law where I live, my daughters wear helmets. I also wear a helmet any time I am on my bike. If I expect them to do it, I should also do it. We ride single file (very important, nothing angers motorists more than seeing cyclists riding two or more abreast), with me (with my youngest in the bike trailer) in the front to lead the way and model what to do, with my middle daughter next, and my oldest daughter bringing up the rear. Our rule of thumb is the weaker riders sandwiched by the stronger riders. Because my daughters ride behind me, I have a side mirror to see behind me. I have found this very useful to keep track of how far behind me they are and if they are having problems. This way I do not have to constantly turn my head around as I ride. I can see my whole family behind me. Each of us has a bell on our bike so we can alert pedestrians to our presence when we have to share the sidewalk or path. If it is darker or poor weather, I have reflective gear to wear, and front and back lights for our bikes (which we have never had to use because I have not gone out with my girls at night). I plan our trips to make best use of any bike lanes that may be along our route. Sometimes these are not available or possible, so I try to take as many side roads or quieter streets as we can. I use hand signals to indicate our intentions to drivers and pedestrians near us, but also to model for my daughters how to use them. I will call out to them what we are going to do so they are preloaded (no surprises) and then they use the signals as well. My daughter signalling left and right turns. While I cross intersections and streets using car rules when I am alone, we cross roads at designated crosswalks when I am out with my daughters. We walk across the road so that I can be sure everyone has made it safely because not all drivers stop for pedestrians at crosswalks. When they walk they are more visible to motorist. they are with me so I know they can do it. When we are in a heavy pedestrian area, we walk our bikes. Cyclists riding down sidewalks in busy areas is another biggie that angers people, and I want my daughters to practice good etiquette. It takes a bit of practice and preparation to go on bike trips with children, but it is worth it. 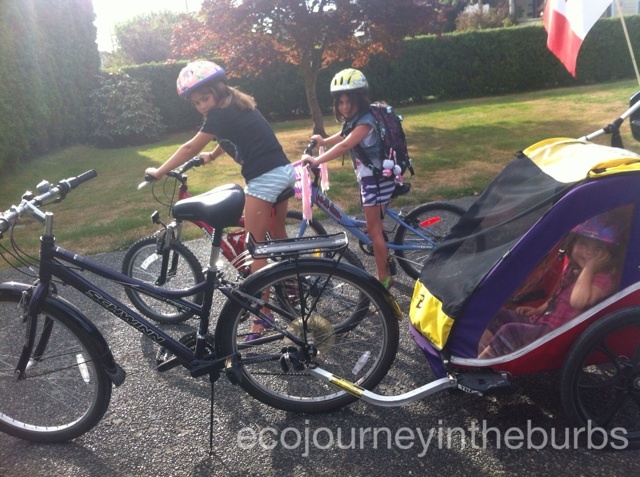 My girls enjoy the freedom of their own pedal power, and I appreciate the activity, fresh air and zero carbon emissions. Christy is a mother, wife, teacher, Instagram and Pinterest addict, crafter and gardener who is trying to be mindful of her impact upon the Earth and is seeking ways to lighten her footprint. 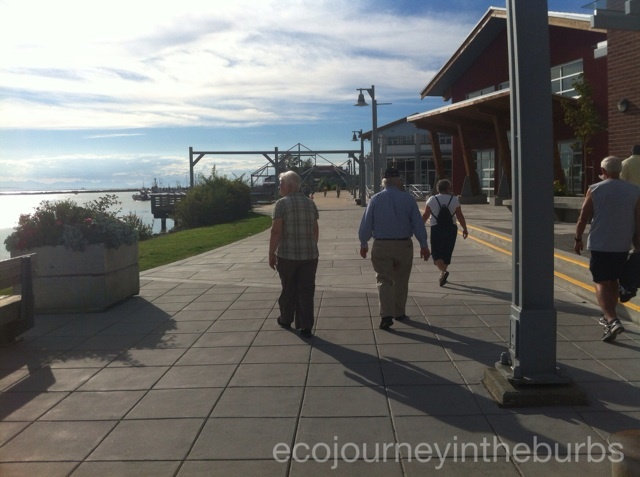 She lives in the idyllic fishing village of Steveston, in a suburb of Vancouver, British Columbia, but has off-grid fantasies. 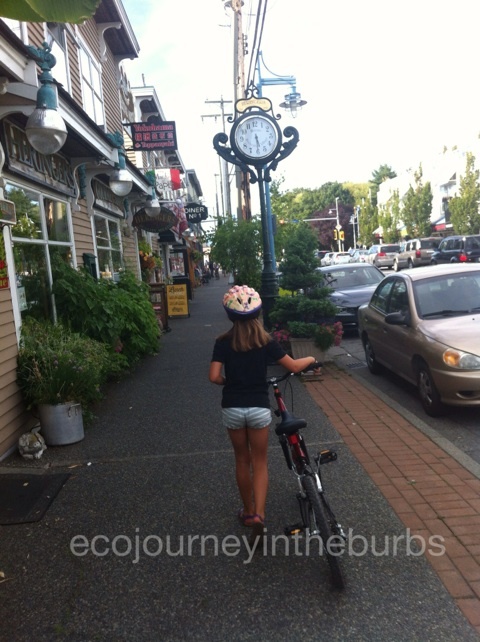 She blogs at Eco Journey In The Burbs and The Green Phone Booth (as Queen Composter). Stranger Danger — Jennifer at Hybrid Rasta Mama shares her approach to the topic of “strangers” and why she prefers to avoid that word, instead opting to help her 4-year-old understand what sorts of contact with adults is appropriate and whom to seek help from should she ever need it. We are the FDA — Justine at The Lone Home Ranger makes the case that when it comes to food and drugs, parents are necessarily both their kids’ best proponent of healthy eating and defense against unsafe products. You Can’t Baby Proof Mother Nature — Nicole Lauren at Mama Mermaid shares how she tackles the challenges of safety when teaching her toddler about the outdoors. 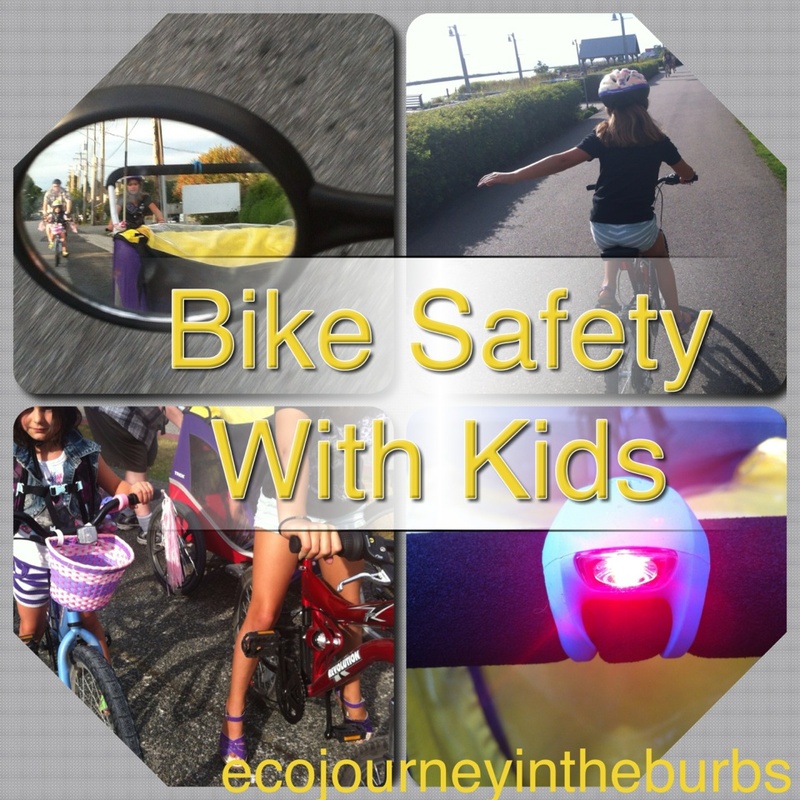 Bike Safety With Kids — Christy at Eco Journey In the Burbs shares her tips for safe cycling with children in a guest post at Natural Parents Network. Spidey Sense — Maud at Awfully Chipper used a playground visit gone awry to teach her children about trusting their instincts. Safety without baby proofing — Hannabert at Hannahandhorn talks about teaching safety rather than babyproofing. Coming of Age: The Safety Net of Secure Attatchment — Gentle Mama Moon reflects on her own experiences of entering young adulthood and in particular the risks that many young women/girls take as turbulent hormones coincide with insecurities and for some, loneliness — a deep longing for connection. Mistakes You Might Be Makings With Car Seats — Car seats are complex, and Brittany at The Pistachio Project shares ways we might be using them improperly. Could your child strangle on your window blinds? — One U.S. child a month strangles to death on a window blind cord — and it’s not always the obvious cords that are the danger. Lauren at Hobo Mama sends a strong message to get rid of corded blinds, and take steps to keep your children safe. Tips to Help Parents Quit Smoking (and Stay Quit) — Creating a safe, smoke-free home not only gives children a healthier childhood, it also helps them make healthier choices later in life, too. Dionna at Code Name: Mama (an ex-smoker herself) offers tips to parents struggling to quit smoking, and she’ll be happy to be a source of support for anyone who needs it. Gradually Expanding Range — Becca at The Earthling’s Handbook explains how she is increasing the area in which her child can walk alone, a little bit at a time. Safety Sense and Self Confidence — Do you hover? Are you overprotective? Erica at ChildOrganics discusses trusting your child’s safety sense and how this helps your child develop self-confidence. Staying Safe With Food Allergies and Intolerances — Kellie at Our Mindful Life is sharing how she taught her son about staying safe when it came to his food allergies. Don’t Touch That Baby! 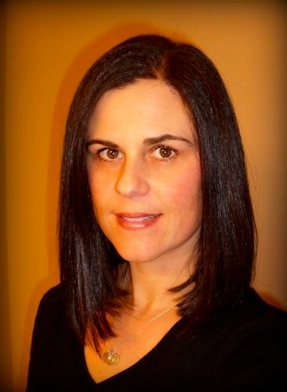 — Crunchy Con Mom offers her 3 best tips for preventing unwanted touching of your baby. Playground Wrangling: Handling Two Toddlers Heading in Opposite Directions — Megan at the Boho Mama shares her experience with keeping two busy toddlers safe on the playground (AKA, the Zone of Death) while also keeping her sanity. Letting Go of “No” and Taking Chances — Mommy at Playing for Peace tries to accept the bumps, bruises and tears that come from letting her active and curious one-year-old explore the world and take chances. Preventing Choking in Babies and Toddlers with Older Siblings — Deb Chitwood at Living Montessori Now gives tips on preventing choking in babies and toddlers along with Montessori-inspired tips for preventing choking in babies and toddlers who have older siblings working with small objects. Keeping Our Children Safe: A Community and National Priority — September has many days and weeks dedicated to issues of safety; however, none stir the emotions as does Patriot Day which honors those slain the terrorist attacks. Along with honoring the victims, safety officals want parents to be ready in the event of another disaster whether caused by terrorists or nature. Here are their top tips from Mary at Mary-andering Creatively. A Complete Family: Merging Pets and Offspring — Ana at Panda & Ananaso shares the ground rules that she laid out for herself, her big brown dog, and later her baby to ensure a happy, safe, and complete family. Be Brave — Shannon at Pineapples & Artichokes talks about helping her kids learn to be brave so that they can stay safe, even when she’s not around. Catchy Phrasing — Momma Jorje just shares one quick tip for helping kids learn about safety. She assures there are examples provided. Know Your Kid — Alisha at Cinnamon&Sassfras refutes the idea that children are unpredictable. Surprising car seat myths — Choosing a car seat is a big, important decision with lots of variables. But there are some ways to simplify it and make sure you have made the safest choice for your family. Megan at Mama Seeds shares how, plus some surprising myths that changed her approach to car seats completely! Such good tips! Kieran learned how to ride his pedal bike this summer, and he loves it. Since we are not in a bike-friendly city, though, there hasn’t been a lot of opportunities to teach him real-life riding skills (so far, we primarily ride in a huge empty parking lot). I am coordinating a bike safety class with a local bike shop for our homeschooling cooperative this fall, though, so I’m trying to be proactive about teaching proper safety skills. Thanks so much for sharing! What a great idea to do a homeschool bike safety class! It is definitely harder to cycle, adults or kids, if your area isn’t bike friendly, as I find that car drivers can be almost belligerent to cyclists. I’ve even been yelled at when I’m cycling safely on the road. This is marvelous! I need to work on teaching these bike rules to my kiddo. I’d love to become a more bike-proficient family so we can go on longer jaunts than just the bike path along the beach. I love the way you’re focusing on both safety and etiquette. Thanks! I have found that etiquette and safety are very linked – if drivers perceive cyclists to be taking risks they drive more aggressively (I could share some stories!). I definitely recommend becoming more bike-proficient because the getting there is sometimes half of the fun of the adventure. Good luck! Great tips. My kids are both excellent bike-riders and as they get older it’s vital that they know how to travel safely. 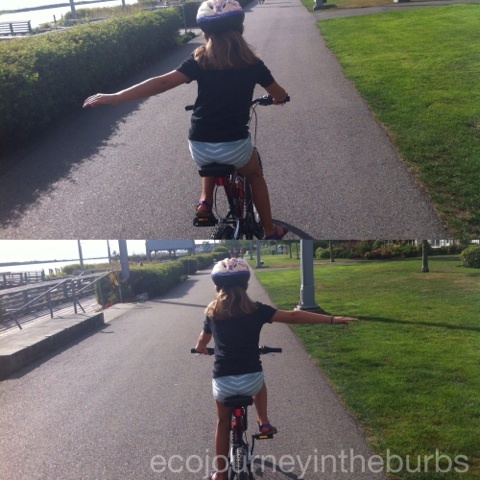 Awesome that your kids are good cyclists – my middle daughter has been somewhat reluctant to do road riding (or biking in general), but because I love cycling and feel strongly about trying to go car-free more often, I’ve had to push her. Great! I always advice my love ones to wear a helmet and make sure that their bikes have all the safety features needed to make cars and other drivers aware. 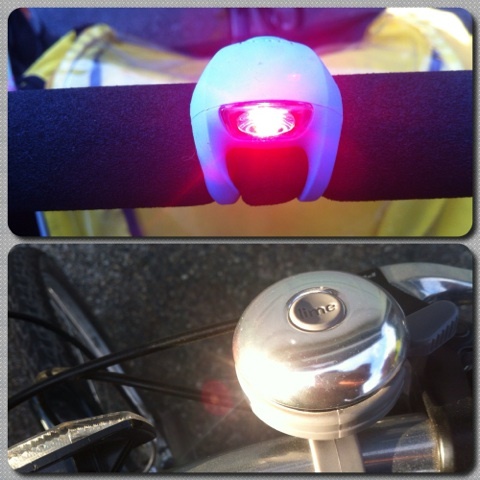 Reflectors are equally important especially when biking at night. I find riding bikes a very good form of exercise but I also find it unsafe at times. But with appropriate safety measures, nothing can go wrong. I agree that cycling can be unsafe at times, which is why I haven’t taken my kids out after dark, and there are a few major roads that even I won’t ride on. As always, it is best to be mindful of safety and plan out routes in advance to minimize dangers. This is a really great piece! My daughter is 4 1/2 and getting really confident on her bike. The cruddy thing is that we live on a super busy street with all kinds of dangers. So as we start riding in our own neighborhood more and more, it is important to have these safety guidelines! Thanks for such a sound post! Oh, too bad about living on a dangerous street – it can really limit what you feel safe doing. We live on a mildly busy street but it is wide enough that I feel ok taking my kids out. Hopefully, as your daughter gets older you can try more. Do you have sidewalks on your street? 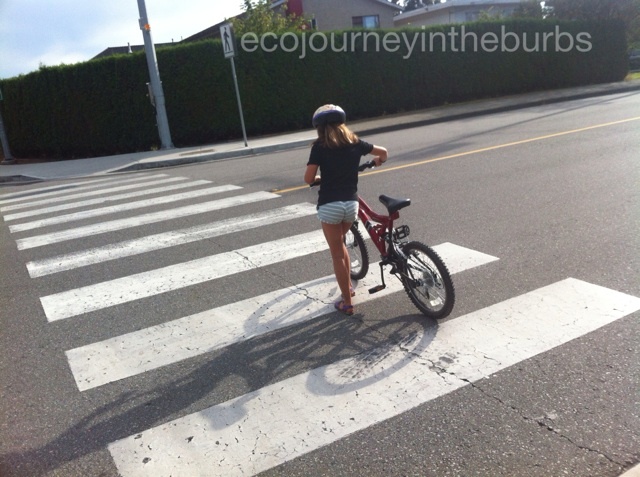 With each of my kids, before I felt they were ready for road riding, I cycled on the road and they went on the sidewalk beside me (with little bikes so ok). It limits where you can go but it is a more gentle way of getting kids used to big cycling trips. Thanks for a great post! We haven’t taught our kids much yet except for having them wear a helmet. Now that we have a kindergartner, I think it’s about time (or probably past time) to let her ride on roads other than our quiet street. I will use your lessons as guidance. Kindergarten was about the age when I let each of my older girls try riding their own bikes on bigger trips. I planned the routes carefully to make sure that there were sidewalks (I rode beside them on the road). Otherwise I put them in the bike trailer so I could still do the big trips that I enjoy. I haven’t been on a bike in years due to knee problems, but I loved riding as a girl. My parents owned at least 10 bikes of various sizes, and we would often go riding as a family. I think your advice is excellent! Thanks! I’m sorry you haven’t been able to get out on a bike in some time. Cycling makes me so happy and I love sharing this with my kids.